Nan Allegra is a political historian with outspoken views. She is in pursuit of a mystery that no one else seems to care about, but could be of critical importance to the future. Archon Devlin is responsible for the Recovery, a global programme to recycle the remains of the former cities of Earth into useful, raw materials. He is deeply concerned with the future direction of humanity. Jones is a man who doesn’t remember his first name or his past, but hopes to change the future. His mission is to assemble a group of citizens in the world’s second-largest city to aid him on his quest. Reginald Mullen is a Knight charged with protecting the citizens from the dangers of the Wilderness. He finds strength in ensuring a secure future for the citizens of his city. Franklin Murakami is an administrator and designer at the largest nanotech production facility in the world. His designs help to shape the future. Sylvie Mathieu is an AIC administrator in Republica. She has never engaged in an intimate relationship with anyone, and only cares about the future of her daughter, Leila. Henry Roston is an engineer who lives a carefree existence and spends his leisure time in the Entertainment District of the city. For him, the future is the present. 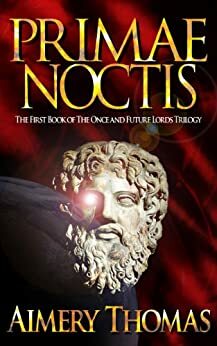 Primae Noctis is the first in a trilogy of high-concept, science fiction novels filled with action, intrigue, and suspense. 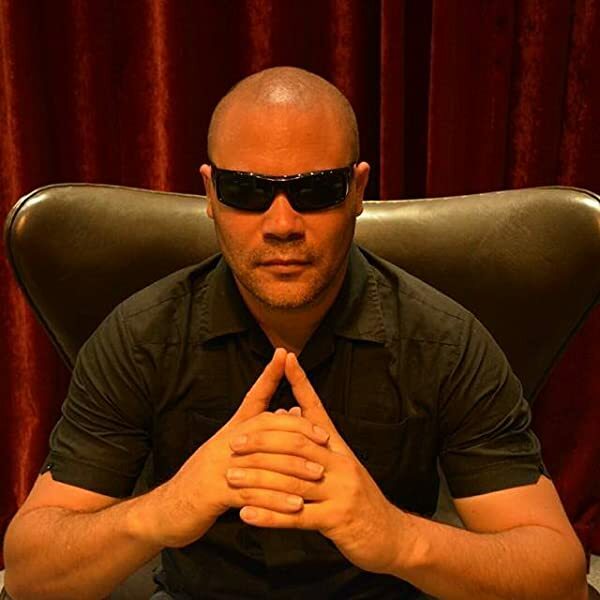 With a tasteful modicum of violence, sexuality, history, and philosophy, Primae Noctis was written for the adult, hard science fiction audience by author, Aimery Thomas. Aimery was born in Los Angeles, California. He has a Bachelor of Arts degree in Political Science from the University of Nevada at Las Vegas, a Master of Public Administration degree from the University of Southern California, and a Master of Arts degree in International Relations from the Australian National University. Publishing Primae Noctis has fulfilled one of his lifelong ambitions: to be a science fiction author. Aimery lives and works in Sydney, Australia. Amazon - you have the gift of near infinite resources. Please pay for editors. I'm sure so many of these self publish novels are good, but they suffer from a lack of editing. 5.0 out of 5 starsEpic novel! There are writers that can capture depictions of a future society but there are very few that are able to look outside the boundaries of our consensual reality and can accurately render a realistic portrayal of humanities existence after a major catastrophe. Author Aimery Thomas does just that in the first in a series of what is truly a sweeping epic. Characters and multilayered plots unveil themselves with exceptional attention to detail as the plight of humanity swings in the balance and the reader is caught up in a sense of urgency that makes it almost impossible to put this book down. 5.0 out of 5 starsWaiting eagerly for the next two volumes! Great read! Original plot and deep characters. Leaving room for the next two volumes on the book case! Get writing Mr Thomas! 5.0 out of 5 starsThis 'future world' really delivers! I highly recommend this book! You will NOT be disappointed in this way by Primae Noctis. In fact you will be refreshingly in awe of the level of intelligent detail contained in the future world. Not only is the world's current situation full of imagination and intelligence, the backstory is also fully explained. Aimery Thomas has succeeded in addressing every facet of the the modern future world. This includes sexuality and relationships; vocation, leisure and entertainment; spirituality and philosophy, food and beverages, a vast array of technology and warfare, and of course the all-encompassing, all-powerful new political structure. In addition, the characters are strong and likeable and the story is compelling with lots of twists and turns to keep you interested and yearning to know what happens next. My only tiny critism of this book is that I did get lost in some of the scientific detail. But that is more a comment on my lack of knowledge in this area rather than of the book itself. After all, it IS science fiction, and science is there in abundance. An important note: This book has been published independently. SO, once you have read this book, PLEASE review it so that it can begin to gain the attention it well and truely deserves! There are a number of high profile success stories of independently published novels of late, and I am here to tell you that Primae Noctis WALKS ALL OVER THEM! This is the first time I have reviewed a book on Amazon and have found the process really easy....so can you!!! Good writing, and a well edited book. I can say without a doubt that this was the first four star book I ever stopped reading half way through, but the political social nonsense finally got to me. My last thought before quitting was, "Who cares?"